William (Bill) Joseph Jackson, Sr., 87, of Benbrook, passed away on Saturday, January 26, 2019. 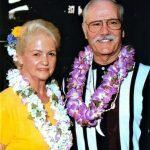 Celebration of Life for Bill and Lugene Jackson will be held from 12:00 – 4:00 p.m. Saturday, February 9, 2019 at River Ranch Stockyards, 500 E. 23rd Street, Fort Worth, Texas 76164. Bill was born on September 27, 1931 to Bob and Edith Jackson in Fort Worth, Texas. He married Annie Lugene Young on October 7, 1950. They were married for 67 years. They had two daughters and two sons. He worked as a machine shop superintendent at American Manufacturing Company. Bill’s most significant accomplishment was being a loving and supportive husband, father, grandfather and brother. Bill was a member of Wheatland Baptist Church. He enjoyed fishing, camping, all outdoor activities, and spending time with friends and family. Bill is preceded in death by his wife Annie Lugene Jackson, parents: Robert Jackson Sr. and Edith Warnick Robbins, brothers: Robert Jackson Jr. and Thomas Robbins, sisters: Fannie Jackson Powell and Janie Pope Dunsmoor, daughter: Edith Gale Jackson, and a granddaughter: Bailey Diane Jackson. Survivors: Sons: William Joseph Jackson, Jr. and wife Denice of Burleson, Mark Wayne Jackson and wife Julie of Benbrook; daughter: Debra Jean Jackson; Sisters: Claudia Robbins Albertoni, Leila Robbins, Edith Robbins Clayton, and Betty Lou Robbins Buchanan, brother: Lemuel Robbins, grandchildren: Bobby, Crystle, Gary Cody, Jaime, Raven, Will, Amanda, Andrew, Annie, and Lauren, and numerous great-grandchildren, nieces, nephews and extended family. Any support to the Alzheimer’s Association would be greatly appreciated. I will always remember the road trip Bill, Lugene, Jim and I took to South Dakota, Colorado Springs and other states. After a day of sight seeing Jim and Lugene would take a nap (not together lol) and Bill and I would sit outside and “talk”. After about 10 minutes we would look at each other and one would say “do you think they are asleep” and the other would say “I think so” and then we would sneak off to get an ice cream and eat it on the way back. We did this almost every place we camped for the night. That was our secret until we told them when we parted ways to return back to our home state. We had a great road trip vacation. We took another vacation together and this one was a cruise to the Bahama’s. Bill loved telling jokes as we all know. There was another couple at our dinner table and he loved to tell jokes also. Every night for a week the two kept us all in stitches laughing all through dinner. If Bill or the other guy hadn’t heard the joke the other told he wrote it down on a napkin so he could remember it and tell it some other time. Lugene would call us twins and on our road trip the first day she cut my hair to match hers. I dearly love this two. RIP Bill and Lugene.